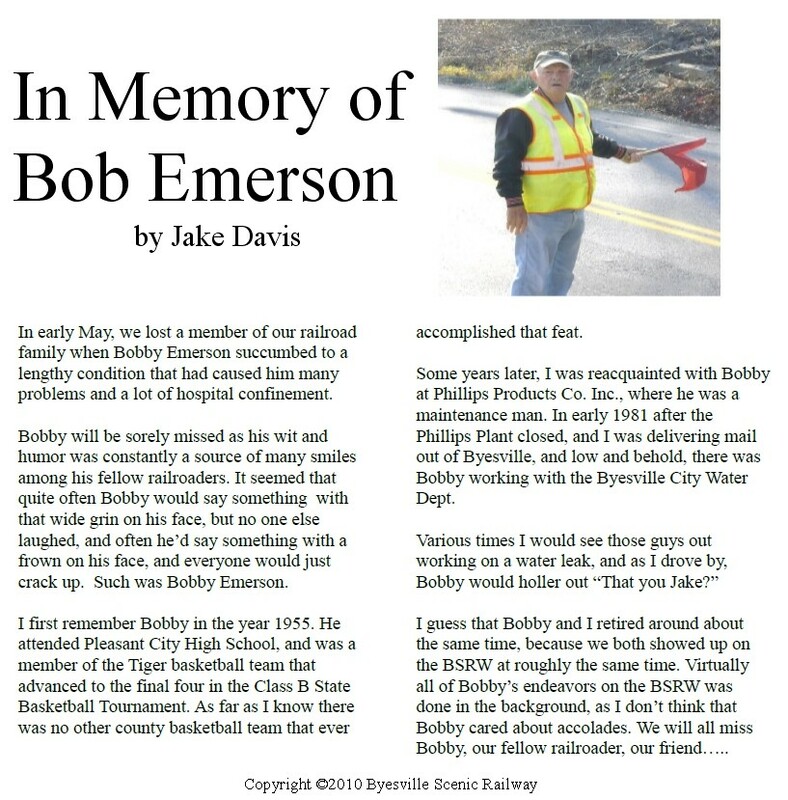 On April 29, 2010 we lost a dear member of our railroad family. Our friend Bob Emerson passed away, and we will all miss him immensely. 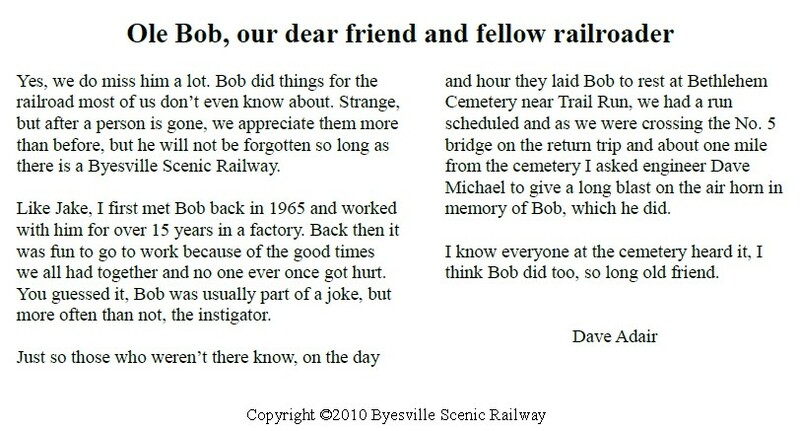 Bob was a very active member of the Byesville Scenic Railway and served as a board member. Bob, we will miss your dedication and friendship.